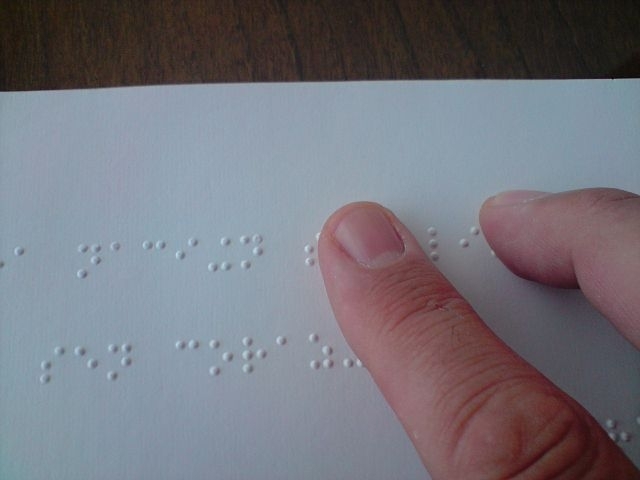 Braille is a global method, and is used by people in over 147 countries worldwide, according to Valentin Haüy, the association for the blind and visually impaired. The braille alphabet, which uses raised dots that blind people can “read” with their fingertips, was first invented at the then-Institution Royale des Jeunes Aveugles (Royal Institute for Blind Youth, now the National Institute) in Paris. Louis Braille - blind after an accident at the age of three - became a scholar at the Institute, itself founded in 1786 by philanthropist Valentin Haüy. Over the course of his studies, Mr Braille decided to develop his own reading system, named after himself. He presented his method in 1827, at the age of 18. Initially, braille was not used widely in France, and was only adopted by the Institute itself in 1854, two years after Mr Braille’s death. It would come to be recognised as revolutionary. Now, braille is an alphabet system using raised dots, which enables users to read 64 different “letters”, including normal words, accents, punctuation, and musical notes, in hundreds of languages. It is still widely used, continues to evolve, and is especially used in the education and training of blind people. In France, over 1.3 million people have visual problems, of which 65,000 are legally blind. The Valentin Haüy association - itself founded in 1889 - is one group that particularly seeks to promote the use of braille in France, and regularly translates and prints documents and books in the language. Its library stocks over 20,000 braille works, including fiction and non-fiction books, cookbooks and recipes, historical documents, and sheet music. The association continues to train blind and visually-impaired people in reading and writing, as well as helping others learn to translate normal text and music into braille versions. It is also aiming to find ways to ensure that braille, and its readers, make the jump into the digital age - including helping people learn to use digital braille keyboards, print braille papers, and make websites accessible. Currently, less than 10% of French internet sites are accessible to people with a visual, hearing, or motor disability. 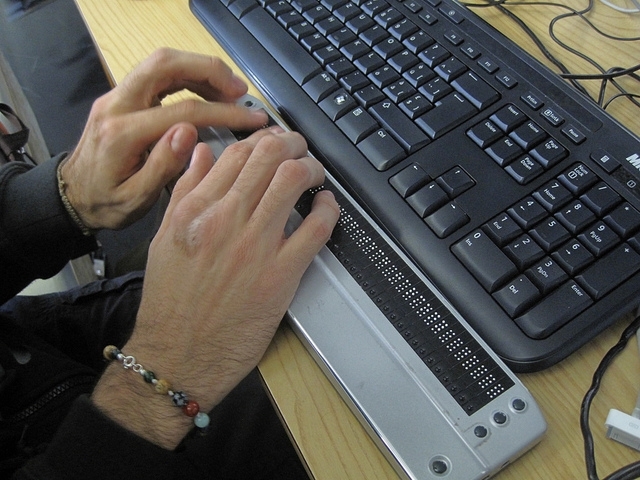 Manuel Pereira, digital accessibility manager at Valentin Haüy, said: “Braille is at a key point in its history. It must make the transition to digital to effectively accompany the inclusion of people with a visual handicap. There are said to be 36 million blind people worldwide, and 253 million people with visual problems.